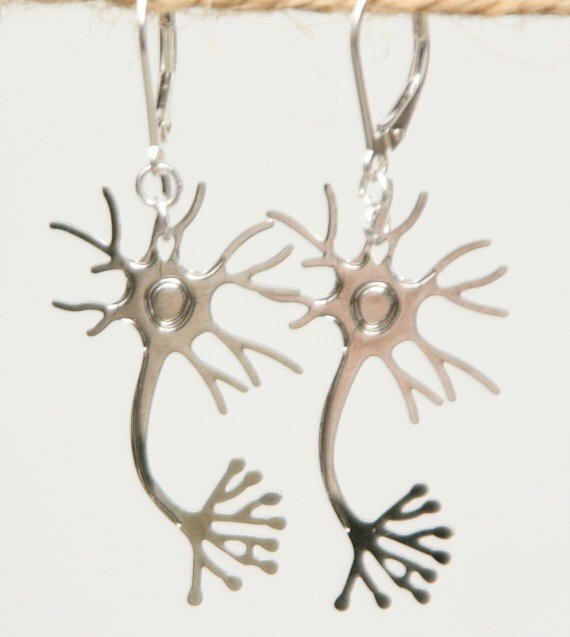 Neuron Earrings under a microscope! 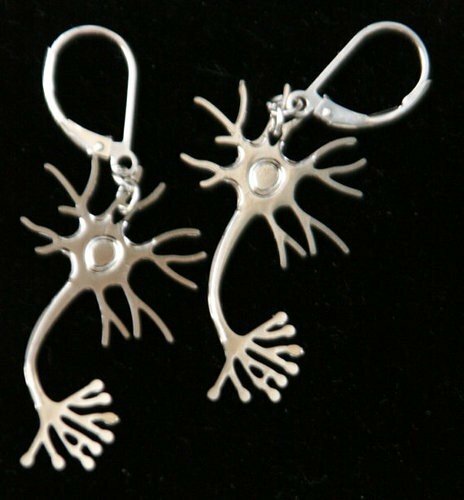 These 1.25 inch neurons hang from sterling silver leverback earring findings. 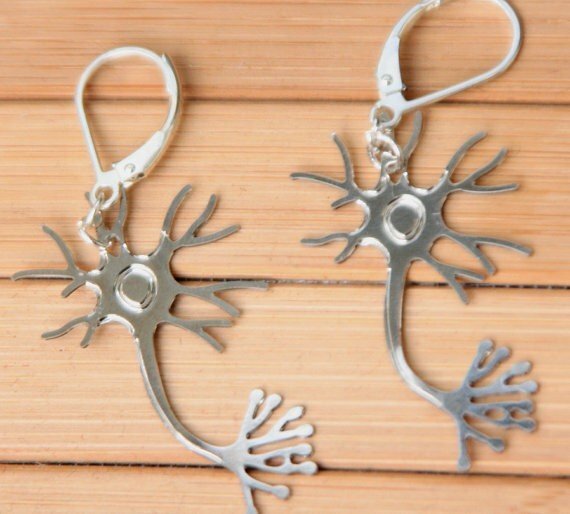 They are an elegant tribute to our love for neuroscience and they make a great gift for those who study our ultimate organ. The neurons are cut from rhodium plated aluminum sheet metal. We have matching necklaces. 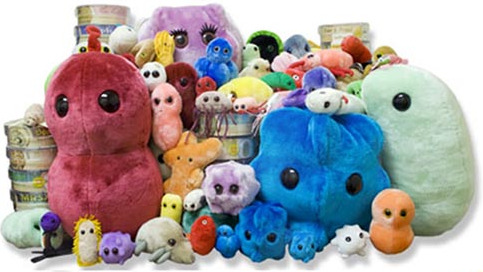 They come packaged in an elegant black glass topped gift box. Cut from rhodium plated aluminum sheet metal.